Waterfalls, creek-crossings, rainforest-clad ranges and stunning views are some of the features of this fabulous route through the world-heritage listed rainforest and the heart of the Wet Tropics. But don't rush! You're travelling along 'The Bama Way', through an area rich in Aboriginal culture, with sacred waterfalls, hidden beaches and fabulous wildlife (watch out for the cassowaries!). 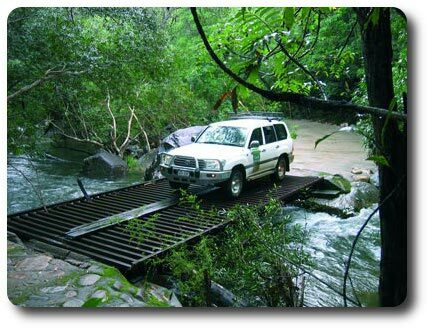 The Bloomfield Track from Cape Tribulation to Cooktown is one of Australia's most scenic drives, with rocky creek crossings to challenge drivers as you wind through the ranges that tower over the Coral Sea. Wujal Wujal, meaning a place of many waterfalls, is a small coastal Aboriginal community, just 72 kilometres south of Cooktown on the famous Bloomfield Track. 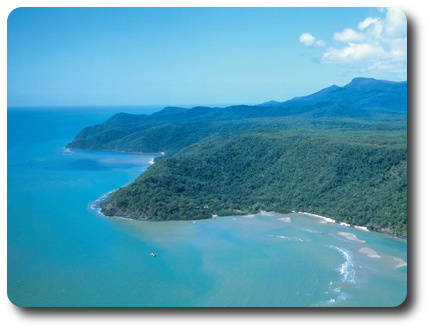 Surrounded by world heritage listed rainforest, this is one of the most beautiful and pristine locations on the scenic route that hugs the Daintree Coast. Visitors can experience the magnificent Bloomfield Falls on a guided tour with one of the local clans who share Yalanji culture as they walk over their ancestral lands. The waterfalls and river are the lifeblood of the local people and their stories tell how man and nature connect at this sacred site. The small township of Ayton, north of the Bloomfield River, was the site of Queensland’s first sugar mill, and once had an active timber and tin-mining industry. Today it's known for its stunning scenery and great estuary fishing. Weary Bay is close by, and you can stroll along the beach named by a very tired James Cook, or hire a boat to explore the Bloomfield River and even the secluded Cedar Bay National Park. Cedar Bay National and Marine Park, a remote and beautiful region, is of great conservational importance. Its mountainous hinterland, almost entirely covered in dense tropical rainforest, is fringed by sandy beaches and coral reefs. 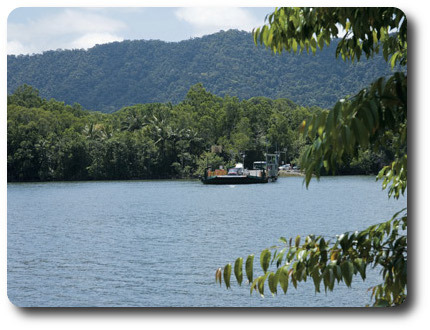 The park is only accessible by boat or on foot, and is for experienced bushwalkers only. The walk begins at Home Rule Rainforest Lodge, Rossville where detailed advice can be obtained. The Bush Track (difficult) is 17kms one way and takes 6-8 hours. Information is also available from the Queensland Park & Wildlife Service, Regional Office Cairns (07) 4046 6600. Before you leave the Ayton area, call in at the Black Cockatoo Gallery, which showcases the stunning wildlife art of world-renowned artist Ross Franzi. Ross hand-built his gallery and café in twenty-five lush acres of this Bloomfield paradise. The gallery is located just off the Bloomfield Road, 12 km north of Wujal Wujal. A little further north lies Rossville, offering a natural wonderland to explore with its secret swimming spots, amazing diversity of wildlife, and a great bushwalk to the incredible Home Rule Falls - a favourite destination for the locals. Take your time to enjoy this natural paradise and stay in the expansive campground at Home Rule. Just outside Rossville follow the track through Shiptons Flat - a beautiful drive through the rainforest with good birdwatching, cascading crocodile-free swimming holes and, beyond the twin steel bridges, you may be lucky enough to encounter the rare Bennett's Tree Climbing Kangaroo. Stop at the historic Lion's Den Hotel in Helenvale for a guaranteed authentic welcome and stay overnight in picturesque surroundings - both camping and cabins are available here. Nearby, Mungumby Lodge offers boutique accommodation in a private wilderness retreat setting and offers fantastic rainforest walks from the lodge.